We are, many of us, Christian, Muslim, Hindu, Buddhist, Jewish, Universalist, or one of any number of other beautiful faith or spiritual traditions. If we’re not closely connected to these traditions, their history and heritage still shape our sense of reality and of right and wrong. For those more deeply involved, they teach us about love, compassion, equity, and dignity while offering us wisdom in the face of life’s unfathomable mysteries. They provide us with communities within which we experience life’s unique passages. They are fundamental to our being. Today there is another identity that we all share, an identity so fundamental that it is easy to take it for granted, to discount its significance. Today, this identity demands our attention. We are human beings living on one precious planet. Alongside any religious identity we hold, this identity presents itself to us with an uncompromised urgency. 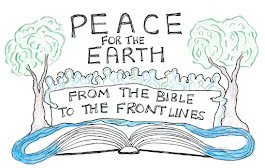 Our planetary context now challenges our religious identities to grow in the deepest of ways. Today, we face an undeniable, urgent, extraordinarily dangerous environmental crisis. Many of its worst impacts are unavoidable and underway. Globally, we face the very real prospect of runaway climate change, with incalculable levels of harm to communities and ecosystems. We are degrading clean water supplies. Destroying tropical forests and their irreplaceable biodiversity and carbon sequestration. Lacing water, soil and air with highly toxic chemicals. The list, a long and frightening list, goes on. This crisis is not new; scientists and activists have spoken to it clearly for over a half century. The delayed response to these threats, and their worsening and acceleration, reflects the capture of governments globally by powerful interests, such as the fossil fuel industry, responsible for climate and environmental destruction. These dangers reflect humanity’s newfound ability to throw every major ecosystem on the planet out of balance, and the sheer newness of our needing to restrain and refashion our human appetites and consumption habits at a deep, sustained and substantial level. The impacts from environmental degradation are becoming more and more evident. Just this past week, two massive storms struck the Philippines and the Carolinas at the same time. Images from space showed climate change’s planetary scale. Images on the ground reminded us that climate change’s ultimate impacts are displacement, widespread destruction of life, property and community, and the radical expansion of misery. In the best of times, such natural disasters inflict painful damage on those in harm’s way. At their new level of frequency and intensity, these disasters spawn terror and suffering, loss and grief at a level that threatens human civilization. In the face of these environmental challenges, alliances among people of diverse faiths and spiritualities must be central to our response. Our environmental context demands an ethos that celebrates a diversity of cultures and a shared commitment to protecting life on Earth. Interfaith alliances are one of the best ways to generate this ethos. Such alliances engage us with others and their beliefs, empowering people of all faiths to clarify their own values in relation to the environment. By reaching across traditional boundaries, these alliances model the same kind of boundary-crossing behavior that is needed to create environmental change. Multi-faith alliances are engines of necessary moral innovation for an ecological age. They are an irreplaceable way to act upon the new, unavoidable reality which we all must embrace: we are human beings living on one precious planet. 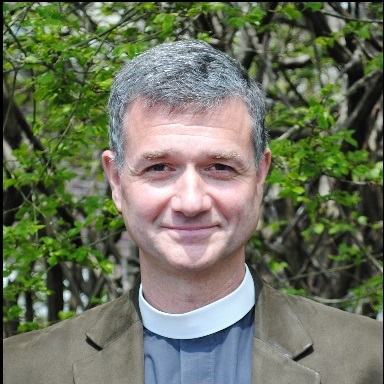 Fletcher Harper, an Episcopal priest, directs GreenFaith, an international interfaith environmental organization. In the past four years, he coordinated the 2015 OurVoices campaign, which mobilized religious support for COP 21, organized of faith communities for the People’s Climate Marches in NYC and Washington DC, helped lead the faith-based fossil fuel divestment movement, supported the launch of the Interfaith Rainforest Initiative, and co-founded Shine, a campaign to end energy poverty with renewable energy. He’s now focused on creating multi-faith GreenFaith Circles in local communities globally.